Could you start by telling me about the genesis for The Wish Child? Is this a period of history you’ve always wanted to write about? I didn’t deliberately sit down and think right, now I’d better produce a WW2 novel, but in hindsight it seems natural that my work took that direction. My father was a child during the war and as an adult he had a particular interest in the period, so I grew up exposed to books and documentaries about it. I studied German at school and at Victoria, and when I was 16 I spent three months on exchange in Germany. One of my host families lived in a farmhouse near Lüneburg, and some aspects of my time with them have made their way into the book. In particular I remember Herr K talking to me one day about the war. It was just the two of us, and he told me about his experiences fighting in Russia – he said there was very little for the soldiers to eat, and when they came to a field of watermelon they fell on them and gorged themselves, they were so hungry. He also said that if he hadn’t killed, it would have been an act of suicide. That conversation stayed with me. Then in 1993 I went to Berlin to study, and found myself living in a city in which the past – and in particular the war – seemed always present, always visible. You could still see bomb damage and shrapnel marks and bullet holes on the buildings, particularly in the east, and Sachsenhausen concentration camp lay just to the north of the city. One of the professors at my university showed us a campus building – now the department of Political Science – that had been the site of medical experiments during the Third Reich. He also took us on a trip to Buchenwald concentration camp, purportedly built around Goethe’s famous oak tree; we stayed overnight in the former SS quarters. It was powerful stuff for a fledgling writer. I remember, too, seeing a beautiful old Berlin building that had been bombed in the war; the façade featured caryatids in the form of children who were holding up the windows, but they were badly damaged. It seemed to suggest something rather poignant about a child’s experience of war, and I tucked it away to use in my writing. The real spark for the novel came, though, when I stumbled across a reference to the mysterious figure who narrates the book. I realised I had to give this forgotten person a voice, but at first I was frustrated when researching him; the sources did not agree on the facts of his life and death, or even on his name or gender. One story contradicted another. In the end, however, these very contradictions were a gift, informing and shaping the novel. The Wish Child is an incredibly complex, textured piece of writing – all these delicate plot threads that slowly weave together to form an incredible tapestry about war and violence, and love and friendship and the consequences of bad deeds. How did you go about creating such a dense, full story? How long did it take you to write it? This particular child demanded rather a long gestation – 13 years. That was partly due to life getting in the way, but also because of the intricacy of the story I wanted to tell. It took some time to find its voice – it started off as quite a different book, actually, about a boy whose mother was a film star in Nazi Germany – but those sections ended up on the cutting-room floor. I don’t see that as wasted time, though – what you remove from a book defines it as much as what remains. Gottlieb Heilmann’s job as Senior Retrospective Editor, Publications Division, is a terrifying illustration and metaphor for how history gets cleaned up, and erased under totalitarian leadership – you even have him erasing the word ‘God’ from the Bible! I think you made this job up? It’s a marvelous creation to have in a novel and for a writer to play with. I did invent Gottlieb’s job, yes – it’s one of a few instances in the book that verge on magical realism. He methodically cuts forbidden words from books, and as the war progresses the number of words on the forbidden list increases. When we talk about Germany under Hitler, we often use words like ‘unbelievable’ or ‘unthinkable’. We ask ourselves how something so unimaginable could have happened. The Germany of The Wish Child, therefore, although historically accurate in many respects, is in other respects not quite real. It was a way for me to comment on the absurdity of a regime in which language and meaning were routinely manipulated and abused – ‘special treatment’ meant execution by lethal gas; ‘protective custody’ meant anything but. You’re a German speaker? And reader? How did you go about creating the texture of 1940s Germany? I would think that taking a period in history that is not only well documented in non-fiction, but also in fiction, has its hazards and possibly makes the novelist’s job harder because it can seem like somewhere we’ve all been before, which it doesn’t here. I was already familiar with Germany, both rural and metropolitan, and of course a lot of the architecture I encountered when I lived there was present during the period – so I drew on my memories of particular structures, and wandered around Google Maps (a wonderful tool for writers). I also immersed myself in the everyday literature and ephemera of the period – ration booklets, advertising, women’s magazines, menus, children’s books, as well as eye-witness accounts. Being able to read German obviously came in very handy with that sort of research. The internet has allowed me to access some fascinating and obscure documents that would have been difficult to find otherwise – a guide for leaders of Hitler Youth groups for girls, for instance, on appropriate activities for 10-year-olds (singing, sewing, learning about the life of Adolf Hitler), or a fairly deranged propaganda leaflet produced in the final desperate months of the war in which ‘two possibilities’ are presented to Berliners – the options including hanging themselves or being liquidated by the Russian army. Your story is a story of ordinary Nazi families, and how the WW2 affected them. It’s a fine balancing act to strike between representing the banality of evil and not reducing the evil. I have a feeling that the point of view of the children is important here as their understanding of what is going on is limited, but tell me, how did you go about making ground that feels fresh to tread here? Is this something you even thought about? I was aware that many writers before me have trod this terrain, yes – but I always try to come at my writing from an original angle. 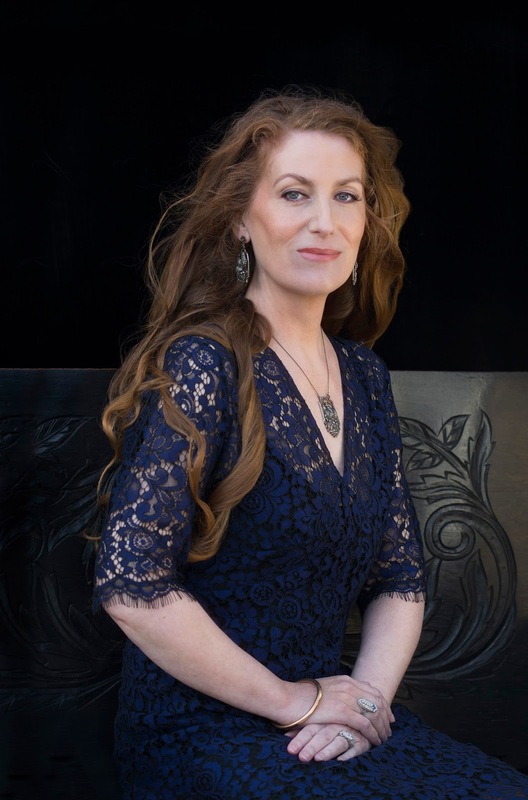 Discovering the narrator’s story when I was researching was a real turning point – I knew straight away that it belonged in the novel, and indeed that this cryptic voice formed the heart of the novel, allowing me to shift in and out of the minds of the two children and their parents. I can’t say too much more than that without giving the game away, though! Something else I did was to splice in quotes from songs, poems, speeches of the period – sometimes overtly, but often subliminally. So for instance, a comment by Hitler on the attractiveness of German children finds its way into the mouth of Erich’s mother; a teacher quotes a speech by Goebbels as if the words are her own. This was a way of expressing something of the zeitgeist, and showing how completely evil can penetrate the attitudes of ‘ordinary’ people; I hope, too, that it lends the writing a kind of heightened immediacy. It’s been thirteen years since your third novel, The Transformation, was published. How does it feel to be releasing your fourth novel? I feel relieved, nervous, excited. The book has been part of my life for so long – I am more than ready to let this child find its way in the world. 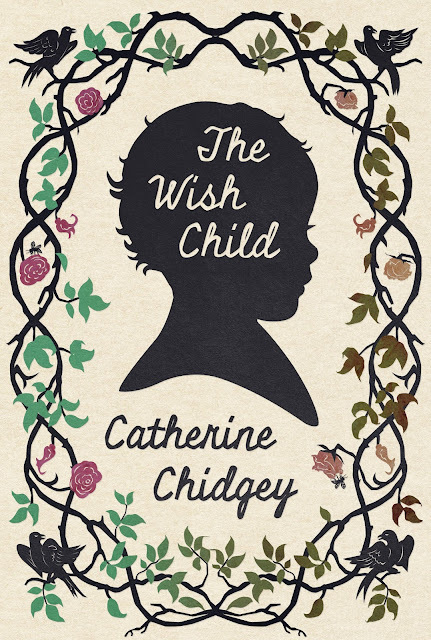 The Wish Child by Catherine Chidgey is available for purchase from 10 November at all good bookshops and through our online bookstore.